Services are provided regardless of age or income. Babies are wonderful…especially when they can be wholeheartedly welcomed and accepted as a cherished part of their parents’ lives. That’s why having a reproductive life plan is so important. When education, birth control, counseling and reproductive health care are accessible, unintended pregnancies are reduced. Family planning allows the time necessary to build for the future without the added financial and emotional stress that can accompany an unplanned pregnancy. Founded in 1970, the Family Planning Association of Northeast Ohio, Inc. is a trusted provider of reproductive healthcare and education to residents of Lake, Ashtabula, and Geauga Counties. 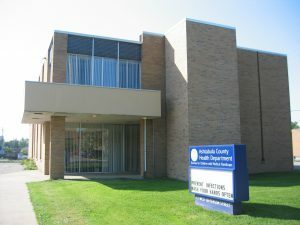 Although birth control services were among the first provided, over the years we’ve added screening for breast and cervical cancer, testing and treatment for sexually transmitted infection, pregnancy testing, social and mental health services, prenatal care, male services, and community education programs. Our clinics have provided services to over 65,00 patients, regardless of age or income*. Educational programs have reached over one million people. Our staff consists of highly qualified professionals, including physicians, registered nurse practitioners, social workers/counselors, educators, and volunteers…each one concerned and caring about the individuals who come through our doors. The Family Planning Association of Northeast Ohio, Inc. dedicates itself to reproductive healthcare services. We promote informed decision-making and personal choice about parenthood and sexuality in a confidential and compassionate manner. *Clients with Medicaid and private health insurance are welcome. Funded in part by a Title X Grant from the Ohio Department of Health. This information provided by the Family Planning Association of Northeast Ohio, Inc.